Hej Gitte – er 500 gram praecis 1.1 pounds?? jeg ved, naar vi bager, maalene skal vaere praecise. Love the memories and recipe ! Hi loving the recipe, trying it for the first time 🙂 however my cookies crack at the top like broken hearts how can I prevent that in the future thanks? Okay, so I would like to make them for my mother. 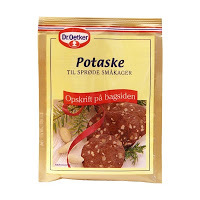 What is potaske & hjortetaksalt. I live in the USA. Hi Julie, you can buy potaske and hjortetaksalt through this online source. Have fun baking. Who would have thought – a month to wait for the dough and then the work involved making it. I do think someone could should have made you a couple of different size cookie cutters, since he had a month before hand. hahaha.